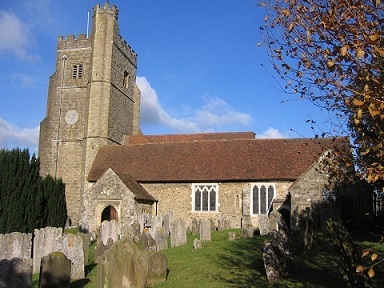 Seal Church Parish News for June and July can be downloaded here. There is news of all our events and services in the next two months, including our Patronal Festival Strawberry Tea on July 1. Before that, though, there is Messy Church this Sunday, May 27 from 3 - 4.30pm in the church hall. Come along for crafts, activities, worship and tea, exploring a theme of prayer. Everyone is welcome, of all ages. You don't have to have a child or be a child to come along. 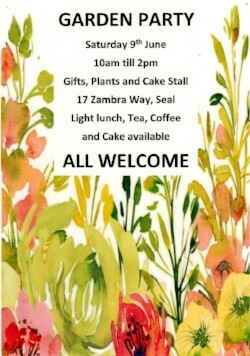 Another event coming up soon is Maggie Fox's Garden Party, on Saturday June 9 from 10am to 2pm at 17 Zambra Way. Details below. By the way, (GDPR!) you are receiving this email because at some point we believe you have said you would like to know what we are up to. If you ever want to unsubscribe, just click on the "unsubscribe" link below! Looking forward to our next Messy Church, on a theme of prayer. If you're thinking that will be all "hands together, eyes closed", think again! 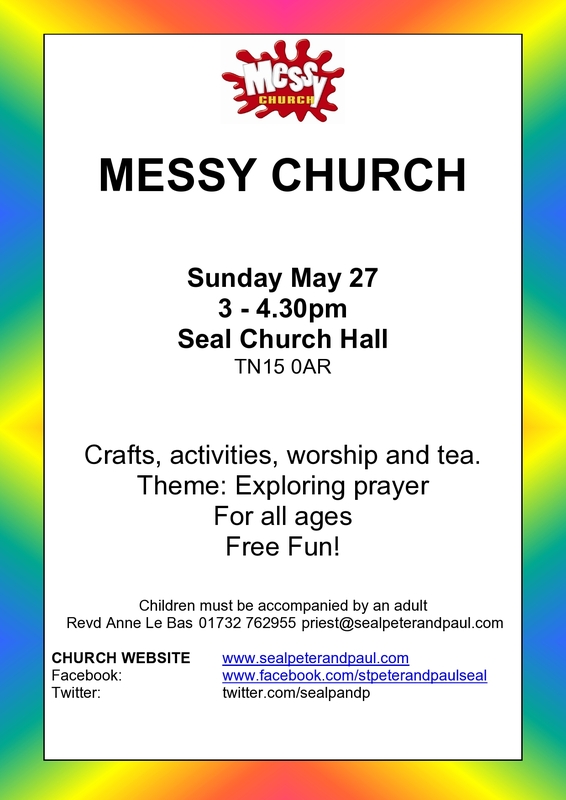 There will be messy, glittery, playdoughy prayer, and even some prayer missiles to fire off (safely...) Next Sunday afternoon (May 27) 3-4.30pm in the church hall. All are welcome - this is for all ages! The final fruit of the spirit in Paul’s list sounds like a distinct anti-climax. What could be duller than self-control? It reminds us of the grim struggle not to eat that second chocolate biscuit (or even the first), not to get enraged at the irritating uncle who always ruins the family gathering. It sounds negative, life- and pleasure-denying. And yet, in many ways, it is fundamental to all those fruits which have gone before it. If we can’t control ourselves, we will have no power to do anything other than to go with the flow of every emotion and impulse that hits us. How can we be loving, joyful, peaceful, patient, kind, good, faithful or gentle if we can’t stop ourselves doing the things which destroy them? Self-control gives us choice. It is the key to freedom. Self-control doesn’t mean we never show emotion, or that we never struggle, though. In the Garden of Gethsemane Jesus was wracked with fear and sorrow at the thought of his coming crucifixion, but he didn’t run away. (Luke 22.39-46) He chose to go through with the mission to which he had been called to its end. His courageous self-control enabled him to choose to show love, joy, peace, patience, kindness, goodness, faithfulness and gentleness even as he was being mocked and killed. · Do you think of yourself as self-controlled? If not, what gets in the way? Why is it difficult for you to resist the temptation to do something you know to be wrong? · When did you last lose your self-control and why? What were the consequences? · Pray: that God would give you confidence in his love so that you can find the courage to make tough choices when you need to. Fruit doesn’t grow overnight, unless it is a magic beanstalk, and fruit trees often need regular care and attention if they are to produce anything worth eating. I love gardening, and helping people to cultivate what God is growing in their lives is the best sort of gardening there can be. 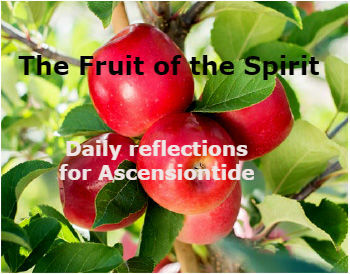 If this set of reflections has made you think about the fruitfulness of your life, or has stirred up questions or feelings, please feel free to get in touch. Looking around the world, gentleness can often seem in very short supply. It is often seen as a soft word, a sign of weakness. You would be unlikely to find it on the lips of an aspiring world leader or a military general. Yet this is a word which Jesus uses to describe himself “Take my yoke upon you, and learn from me; for I am gentle and humble in heart, and you will find rest for your souls.” (Matthew 11.29) It is the same word he uses in the Beatitudes, translated there as “meek” – “Blessed are the meek, for they shall inherit the earth”. In God’s economy, meekness, smallness and gentleness are not the opposite of power but the gateway to it. Although Jesus could be angry when he needed to confront abusive systems and people (Matt 21.12) he is consistently gentle with those who are poor, sick or vulnerable, treating them with a courtesy that many of them were probably unused to. Gentleness gives other people space to be themselves and to move at their own pace. Gentle people don’t feel the need to impose their own agenda or meet their own needs; they don’t need to make others feel small so that they can feel big. Their words are carefully chosen to build people up rather than pull them down. As Proverbs 15.4 puts it, “A gentle tongue is a tree of life”. · Can you find any examples of gentleness – or its absence - in the news today? · Gentle people often go unnoticed. Try to notice and affirm gentleness around you today. · What experiences have you had in your life of faithfulness and unfaithfulness? · How much do you trust in the faithfulness of God, or are you frightened that he might reject or abandon you? “Good” is a word which can have a very wide range of meanings. Food is sometimes described by advertisers as full of goodness - “good for us”. We can be “good at” something – a good musician or athlete or cook. We may have innate abilities in these fields, but we probably also have had to practice, so that the skills required become second nature. When God calls his creation “good” in Genesis chapter 1, he is pointing to something essential about them. They are just as they should be. The sun is exactly as “sunny” as he wanted it to be. The trees have their “treeness” just right, and the people are exactly as they are meant to be too. The goodness which Paul says the Spirit grows in us should also be something which runs right through us, the product of long-term “holy habits”. We aren’t just called to do good things, but to let God’s life reshape us so that the original goodness God created us to enjoy becomes natural again. · Can you think of someone you know who seems genuinely good to you? What does their goodness look like? · Goodness often seems to be portrayed as something boring and unattractive – no one wants to be called a “goody-two-shoes” and “do-gooder” is often a term of contempt. Why do you think this is? Is goodness attractive to you? If not, why not? · Pray: for a glimpse of the goodness that God has put at the heart of your nature. The words Paul uses here “chrestotes”, like several of the words in his list, could be translated in a number of ways. At its root, it is about giving people what they need, and that’s not a bad way of thinking about kindness. We need to be observant to be truly kind, to notice people and treat them as equal to ourselves, deserving of our respect and generosity. Otherwise the “kindness” we think we are showing may be simply patronising, assuming we know what they need more than they do. In the Bible, kindness is an important attribute of God, though often this word, and its Hebrew equivalents are translated as “good” or “generous”, so we may miss this. “Taste and see that the Lord is kind” says Psalm 34.8 (more often translated “good”), “happy are those who take refuge in him.” Why? Because “those who seek the Lord lack no good thing.” He gives us what we need. · When can you remember someone being kind to you? · What does it feel like when someone is unexpectedly kind? · Pray: that God will show you where you could do a kindness today. The Greek word Paul uses, makrothumia, literally means “large-hearted” or “large-souled”, but perhaps we can more helpfully think of it as “long-tempered”, the opposite of “short-tempered”. In the Old Testament God is described as “slow to anger” (Psalm 103.8), and though people often think of the God of the Old Testament as being fierce, in fact when we read its story as a whole, we see a God who rescues his people time and time again, who is tempted to give up on them, but doesn’t. He is a God of supreme patience. “How can I give you up, Ephraim? How can I hand you over, O Israel?” he cries, (Hosea 11.8) despite the fact that they have turned away from him and lived without justice or mercy towards those who are vulnerable. In the New Testament, Jesus tells of a patient God, who is like a father waiting for his prodigal son to return so that he can forgive him and welcome him, (Luke 15) and who urges people not to rush to judgement in the parable of the wheat and the weeds (Matthew 13). In that story, the anxiety of the slaves who see weeds growing in the field of wheat they have sown for their master. They are so afraid that they will be blamed, that they are prepared to rip up the good plants along with the weeds. Patience requires us to trust that we, and those around us, are in God’s hands, and that he knows what we need, and when we need it. · What makes you lose your patience? · What is going on inside us when we become impatient? What are we afraid might happen if we don’t get what we think we need right now? · Pray: Give thanks for God’s patience with you. Is anyone up for a regular Sunday "Quiet Afternoon" at Seal? We had a great Prayer Workshop yesterday, trying out Benedictine "Lectio Divina", Ignatian imaginative prayer, praying with pictures, and praying as we played with the various art materials I had put out. People shared all sorts of insights as we went along, and it was clear that people were doing some of the work with God that they needed to. It was good to watch people gradually unfold and relax as they prayed, and we had such a good time that there was an appetite for more of the same. I'm thinking of making a similar "Quiet afternoon" a regular event in church. Anyone else interested? Peace, in the Bible, isn’t simply the absence of war. It is the state of being in which everything is whole and as it should be – “shalom” in Hebrew. True peace removes the urge to be at war. Because of this, there can be no shortcut to peace. We can’t find it by ignoring the issues we need to confront. The prophet Jeremiah rails against false prophets who cry “ ‘Peace! Peace!’ when there is no peace.” (Jeremiah 8.11) Jesus wept over the city of Jerusalem, so often a battleground through the centuries, because it had not known “the things that make for peace” (Luke 19.42). · What does peace mean to you? When did you last have to “make peace” with someone or something? · Where are you aware of needing to find peace in your own life? What needs to change in you in order to find it? · Pray: for those you become aware of today who need peace. Rejoicing is a common theme in the Bible. Joy is in God’s nature. He delights in the world he has made (Genesis 1, Proverbs 8.31). In the Psalms often the natural world itself rejoices. People too are often pictured rejoicing, usually for obvious reasons. They have been rescued from danger (Exodus 15.20) or restored to their own land (Isaiah 65.18). But we also find people rejoicing when, objectively, there seems to be nothing to rejoice about. Mary “rejoices in God” (Luke 1.46) when she hears she is to bear the Messiah, despite the fact that, as an unmarried woman, she faces social disapproval and rejection because of it, and knows that her son’s life will never be plain sailing. Paul and Silas sing hymns of praise in chains in a Roman prison (Acts 16.25) “Rejoice in the Lord always,” he later writes, again from prison (Philippians 4.4) on another occasion. There is, or should be, nothing dour or cheerless about our faith, even when things are not going smoothly. That doesn’t mean that we have to go around with a grin plastered on our faces when we don’t feel like it. The joy that God gives isn’t superficial happiness, which is dependent on things going well, but a deep knowledge that we are held securely in his hands whatever happens to us. · When did you last feel real joy, and why? · When did you last feel joyless, and why? · “Cheer up, it may never happen?” How does it feel when people try to cheer you up like this? Why is it such an irritating and unhelpful thing to hear? · Pray: for God to reveal his joy to you today, and enable you to bring genuine joy to someone else. Love is fundamental to our survival from our earliest days. Babies can only survive if someone loves them enough to feed and protect them. It is the thing which binds us to each other through life, drawing us into communities where we can support each other. It comes in many forms and is expressed in many ways. It is hard to define or explain, but unmistakeable when we encounter it. The Bible is clear that our capacity to love is linked to how secure we are in God’s love. “We love because he first loved us” (1 John 4.19). it reminds us, again and again that God’s love is indestructible. God seeks out the lost sheep, and looks out longingly for the lost son (Luke 15) until they are found. · Who loves you, or has loved you, in your life? What impact did their love have on you? Did their love help you to love others? · Do you feel that God loves you? Have you always felt that? · Pray: that you would feel secure in God’s love so that you can love others with the same generosity he shows to you. “Virtue lists” were a common feature of the classical world, defining what a good person should be like. St Paul’s list, which we will look at over the coming days, is not unusual in this. The thing that may have been different about this list, however, was the source of the virtues in it. He doesn’t say “the fruit of your labours should be love, joy, peace etc.” He says, “the fruit of the Spirit is love, joy, peace…” His words aren’t meant simply to make us try harder to be all the things on the list, a task that is often disappointing and discouraging. Instead they point us to God, and remind us that it is his work in us which produces these fruits. We can’t show love, joy and peace, unless we have first experienced God’s love, joy and peace, but once we have, there is nothing that can stop the fruit appearing. Grapes grow on a grape vine because it is a grape vine not because it is exerting its will to make them appear. All we are called to do is to stay rooted in him, grafted to the vine (John 15. 4) The rest is up to him. · Make a list of what you see as your strengths and your weaknesses. How do you feel about them? Where do you think your strengths and weaknesses come from? · Do you tend to be dissatisfied with yourself, over-critical and driven, or do you tend to be complacent, avoiding challenge and change in your life? · Where have you seen God at work in your life over the years, changing you for the better? · Pray: give thanks for the gifts of character God has given you, for the growth you have seen in yourself over the years, and ask for a clear vision of what he is working on now! Fruit was associated with the Day of Pentecost, fifty days after the Passover Feast, because it was a the first day of the feast of the first fruits, “Shavuot” or “Weeks” and was celebrated by bringing the first of the crops that were ripe at this time of year. (Deuteronomy 26.1-11 and 8.8) So perhaps it is no surprise that the early Christians associated the Holy Spirit, which had first been felt in power on the Day of Pentecost, (Acts 2). Fruitfulness was seen as a sign of God’s blessing in the Bible. Adam and Eve had been told to “be fruitful” and placed in a garden full of fruiting trees. The tragedy of the story is that they lusted after the one fruit they have been forbidden, and were exiled from the garden as a result. Maybe we can take this as a picture of ourselves, failing to see the richness we have in our pursuit of the things we don’t have. The message of the Bible is that God is a God of fruitfulness, though, who wants our lives to produce good fruit, whatever form that takes. · Look at your life. What fruits have you produced – things that have delighted and nourished you or those around you? · Are there areas of your life which feel unfruitful, where you feel you haven’t achieved much? Why is this and how do you feel about it? · Pray: Ask God to show you the fruits of your life, and give thanks for all he has grown in you already. Through the daily reflections we will share between Ascension Day (May 10) and Pentecost (May 20) I hope that we will be helped to wait expectantly, trusting that God is at work in us. His presence is certain. “Lo, I am with you to the end of the age” said Jesus to his disciples before he left them (Matthew 28.20) But like the seeds that we sow in the ground at this time of year, often the life of God that is growing in us is unseen, underground. We need to wait and to watch for its appearing. St Paul said: The fruit of the Spirit is love, joy, peace, patience, kindness, goodness, gentleness, faithfulness and self-control. Galatians 5.22-23 (Different translations of the Bible often choose slightly different English words for the Greek originals, so the list in your Bible may not be quite the same!) We will use his words as a starting point for our reflections. This is part of Seal's participation in "Thy Kingdom Come"
Gracious God, open our eyes to see you, our ears to hear you, and our hearts to love you. There will be nothing in these reflections which is not suitable for children to read or think about, so if you have children you might like to talk about them together, though you may need to unpack them a bit. What do these words mean to them? Can they think of any time when they showed these fruits in their lives? Can they think of anyone who they know who is like this? You could also do some “fruity” crafts or make fruit salad or fruit kebabs as you talk!